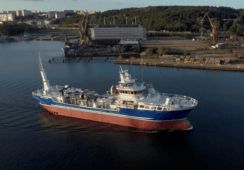 Scottish salmon farmer Loch Duart has been praised by Inshore Fisheries and Conservation Authorities in England for its conservative approach to sourcing wrasse for use as cleaner fish, the company has revealed. In 2016 the south coast of England provided Loch Duart with a prime source of high quality ballan wrasse and turned the company’s sea lice position around to record low levels within a year, to such an extent that it plans having “the first medicinal free year” for the control of sea lice. Loch Duart representatives met with IFCA officials (Inshore Fisheries and Conservation Authority) in December 2017, when it was agreed that regulation and close monitoring of the fishery is required and led by Loch Duart, as an example of best practice. The company’s cleaner fish coordinator, Lewis Bennett, said: “When fishermen started catching wild wrasse for Loch Duart in 2016 the fishery was basically open to anyone. The risk of the fishery being over exploited was high even in these wrasse-rich locations. 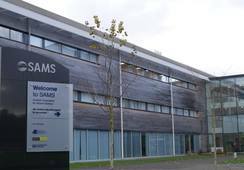 Loch Duart found that the key regulatory and advisory bodies developed innovative management measures which were nothing short of outstanding. 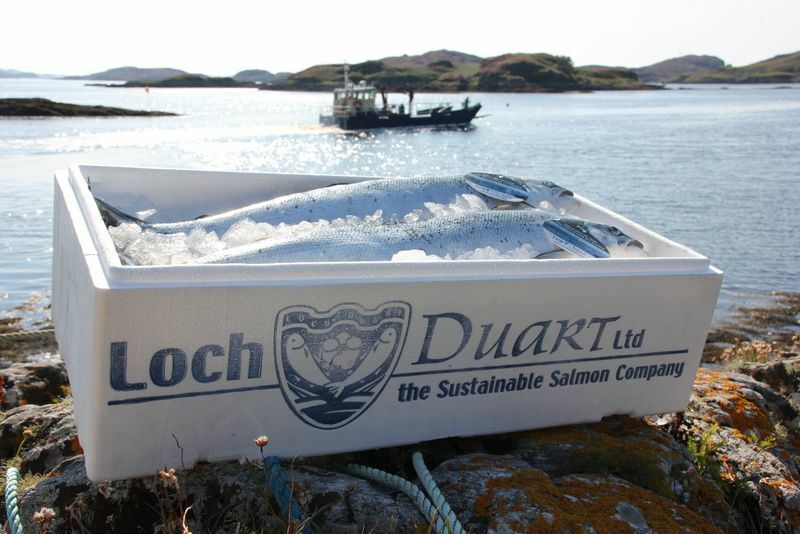 Colin Trundle, principal scientific officer of Cornwall IFCA said: “Cornwall IFCA officers have been very pleased that Loch Duart appears to be using the best available scientific evidence to ensure that they are sourcing cleaner fish responsibly. Loch Duart said its stocking strategy and fishing policy has reduced its annual requirement for wild caught ballan wrasse, meaning the company requires less than 1% of the Scottish annual requirement. It does not support the use of mixed species wrasse, and its fishermen release all other wrasse species. 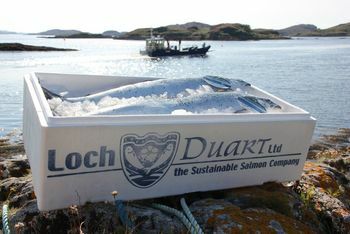 Loch Duart said the availability of wrasse from the south of England was highlighted by local fishermen. Their sizes of the fish are more varied, suggesting an even distribution of populations and generations of fish. 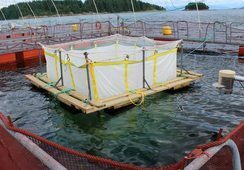 The company has focused on specific size ranges and specific fishing periods (avoiding breeding periods) backed by ongoing scientific data collection and research. Loch Duart’s update on its wrasse success comes against a background of concern that salmon farming might be taking too many wrasse from the wild. The Sunday Times reported at the weekend that the Angling Trust warned it will take legal action against the UK government unless officials show they have met requirements under European law to assess the environmental impact of catching wrasse from special areas of conservation off England’s south coast. Anglers say an estimated one million wrasse are taken annually along the region’s coastline for use as cleaner fish. Angling Trust head of marine policy David Mitchell told the Sunday Times: “Wrasse perform a function as a cleaner fish in their natural environment and they are very slow-growing fish with complicated breeding habits. So by the time we find out whether this is having an impact on the ecosystems, it may be too late for the wrasse [and those environments] to recover. 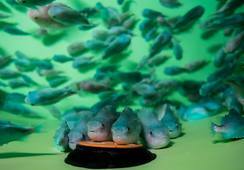 The salmon farming industry has been successful in farming lumpfish for use as cleaner fish but wrasse were initially harder to breed, although advances have been made. 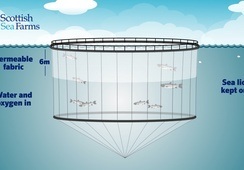 Scotland’s biggest salmon farmer, Marine Harvest, recently gained planning permission to build a £6 million wrasse hatchery at Machrihanish, expected to produce 800,000 wrasse per year. 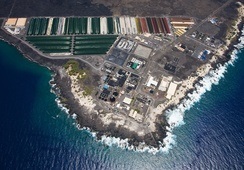 Marine Harvest is also redeveloping the former Anglesey Aquaculture sea bass farm in north Wales to grow between 800,000-1,000,000 wrasse per year.